Feeling sad that summer is ending? Don't worry, you can still plan a great weekend staycation! And there's no better way to spend the day than at Great Mall in Milpitas, CA. 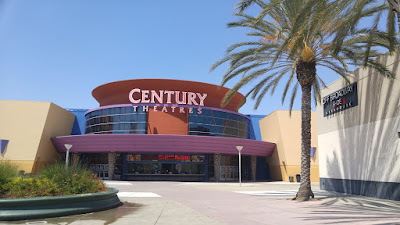 It's within a short driving distance from practically any city in the Bay Area, and it has everything you need to spend the day out with the family -- great stores (with great bargains! 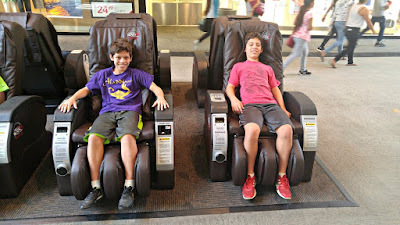 ), fun things to do for the kids and for grownups, and delicious places to grab a snack or a meal. There's something for everyone! The Great Mall was the first outlet center I visited when I came the US in 1994 as a graduate student, and I was blown away by the size of the mall (it's like a giant football field with over 200 stores!) and the variety of shops. I've loved it ever since, and my kids have grown up shopping at Great Mall! Great Mall is the perfect place to find a bargain! They have great outlet stores and retail stores for men, women, teens, kids, and home. 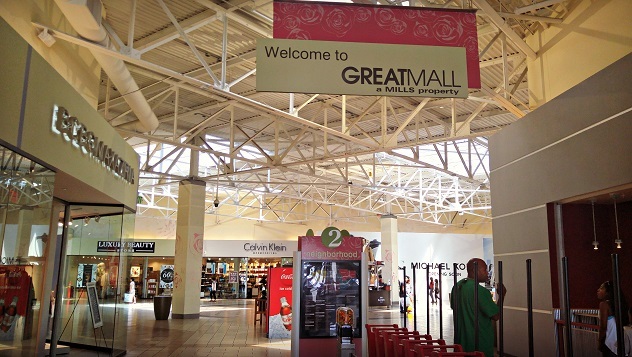 Whether you need to stock up on back to school supplies and outfits or buy a holiday present for everyone on your list, you don't have to go any further than Great Mall. 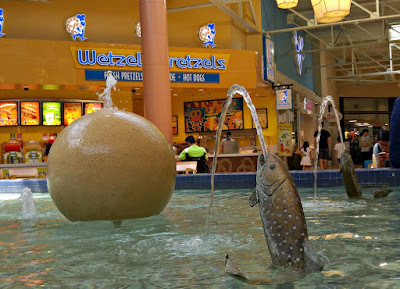 Great Mall offers plenty of delicious ways to refuel. 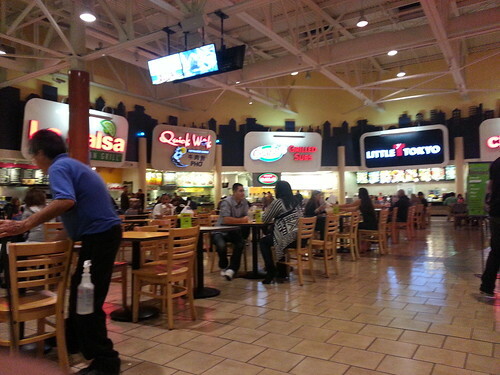 Their food court has all kinds of fast food cuisine, from Indian to Japanese to Mediterranean, and more. There are snack carts and kiosks scattered all around the mall, featuring favorites like Wetzels Pretzels, Dippin Dots, Starbucks, Mrs. Fields, Cold Stone Creamery, and more. Yum! 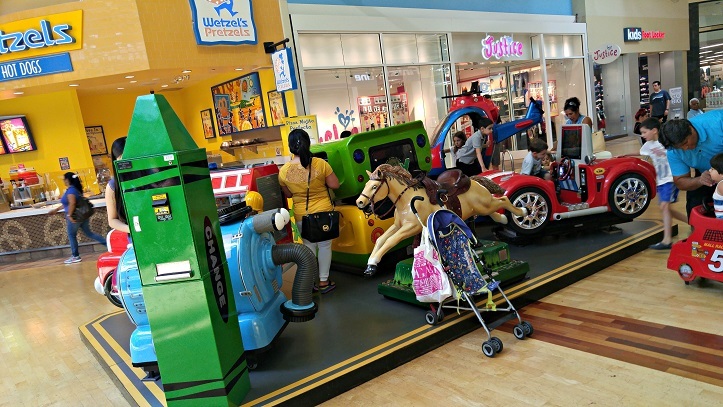 You don't have to be a shopaholic to enjoy the Great Mall. 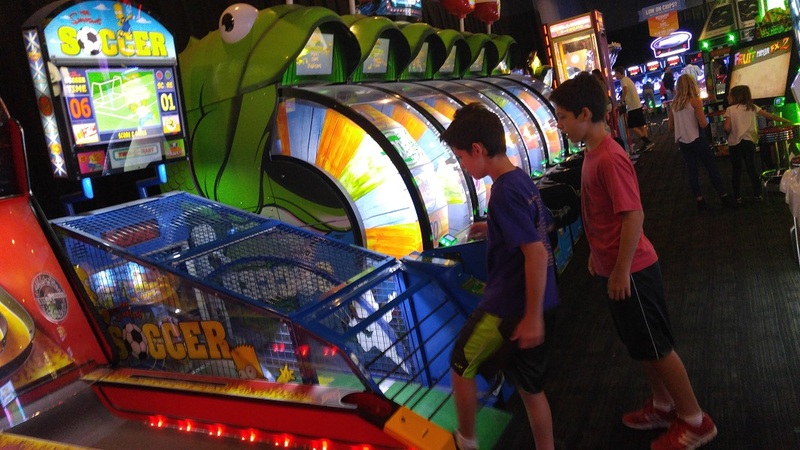 There are entertainment options for everyone! There are several meeting places where families can meet and rest their feet. My favorite one has a fountain where the little ones love to play. 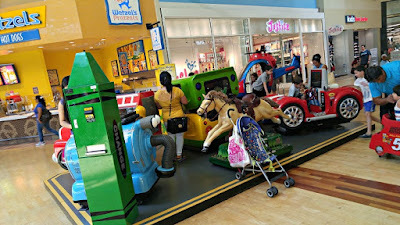 You really don't have to worry about young kids getting antsy, because there are lots of rides spaced around the mall, including a mini railroad, carousel, and bungee jump. Don't worry, there are games for grown-ups too. 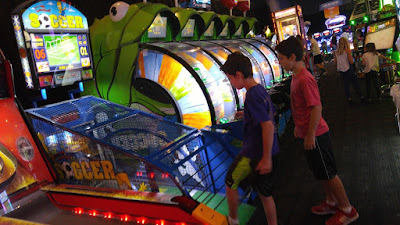 Dave & Buster's has a ton of arcade games and video games, along with a bar and restaurant with giant sports screens showing the live sports matches. You can even go to the movies! Century Theatres has 20 screens including 3D and XD options, a game arcade, and the all-important concession stands with popcorn, sodas and other snacks. 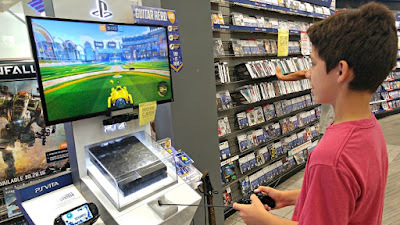 One of the boys' favorite things to do is hang out at Game Stop and play video games. That's a lot of stuff to do! If you're all tired out, look for the coin-operated massage chairs so you can give your aching body a break! We had a great day out and can't wait to go back! Here's a list of some of our favorite stores (I limited it to three per category, otherwise the list would go on and on!). 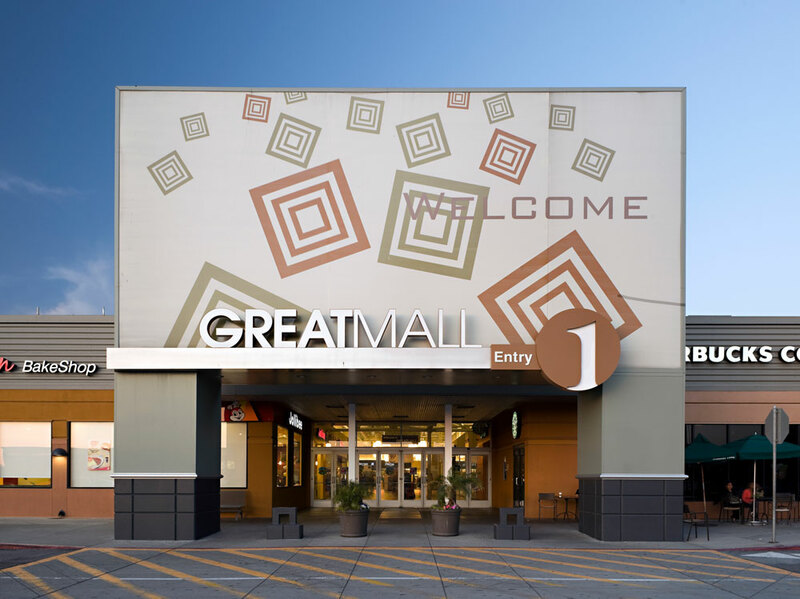 You can find a complete list of Great Mall stores on their website. Disclosure: I received a Simon Mall gift bag including gift cards to help us enjoy our day out at Great Mall. The views and opinions expressed here are my own. 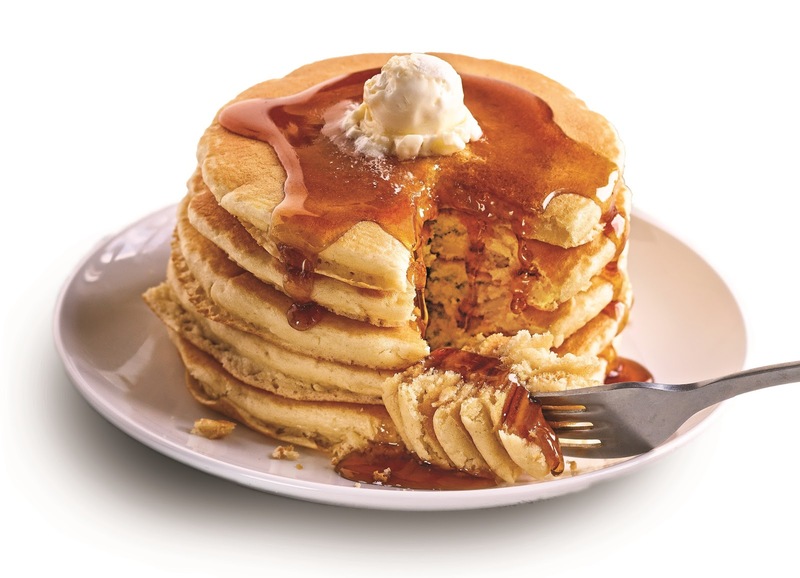 Today is $1 Short Stack Day at IHOP ! Today is $1 Short Stack Day at IHOP! From 7 a.m. to 7 p.m. today, you can get a short stack of pancakes at IHOP for just $1. Not only do you get a short stack of their yummy pancakes for a crazy price -- for every $1 short stack purchased, IHOP will donate $1 to the No Kid Hungry campaign! What a delicious way to help feed the kids who need it the most! They're aiming to serve one million pancakes today, so get on over to IHOP, ASAP. Find an IHOP near you. For those of you worried that Back To School means Back to Losing Kids' Stuff, I have 2 words for you: Label Daddy. Label Daddy is the first online label company that I ever worked with, and I have loved their cute, sturdy labels since 2009. What's so special about Label Daddy? No ironing or sewing . . . just peel and stick. Their exclusive laminated coating gives labels an extra layer of protection and is a must for school! 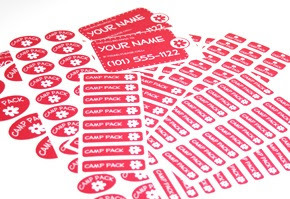 Remember to label all clothing, books, bags, sports equipment, electronics, and other personal belongings your kids bring to school, camp, sports leagues, day care, vacation, and other places Label Daddy labels keep them from getting lost or mixed up with others. These convenient labels are great for adults too! -- Put them on your sunglass/eyeglass case, phone, camera, sports equipment, tablet, e-reader, hats, clothing, and more. These labels are super durable peel-and-stick washable labels -- they're washer/dryer safe, microwave safe, dishwasher safe and UV resistant! Label Daddy labels are also fun and attractive. You design your own labels! Pick from tons of colors, sizes and logos, including Disney characters, MLB, NBA, and NHL team logos, other sport and fun logos, and more. These labels are made in the USA and shipped directly to you worldwide. Disclosure: I am receiving a set of labels from Label Daddy via US Family Guide. The views and opinions expressed here are my own. I can't believe summer is over! My 10th grader started school yesterday and my 7th graders started school today. The house is so quiet and it's almost like summer never happened. Can it really be just a few weeks ago that we were exploring Britain's Jurassic Coast, meeting Mickey Mouse in Disneyland Paris, and milking cows in Wiltshire county? Fortunately, there are always photos and photo books so we can look back on our trip and relive all those amazing memories. I make photo books out of all our big trips because sometimes it's nice to relive the highlights without having to sift through thousands of digital photos! 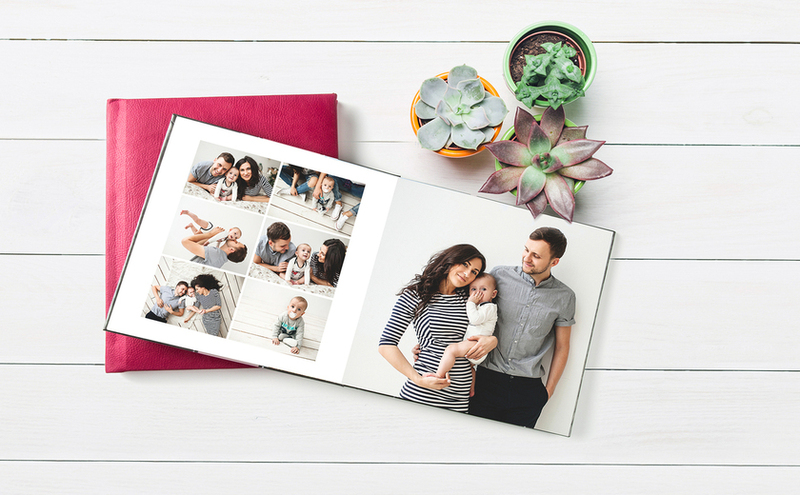 If you like photo books as much as I do, check out custom photo books by Adoramapix. I've ordered photo books from them before and they are great! You can choose from gorgeous linen, hardcover and leather covers as well as 6 stunning paper finishes, great layout options, and easy to use software so you can create a photo book in record time. Your memories deserve more than a lifeless screen! 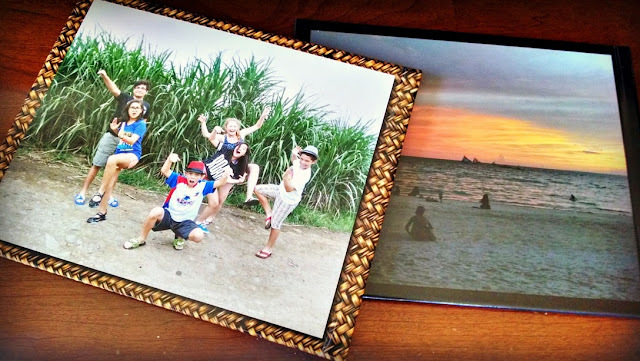 Breathe life into your photos and turn them into beautiful keepsake photo books that will last for generations. Disclosure: I received a credit from AdoramaPix via USFamilyGuide.com so I could experience the AdoramaPix creation process and review the final product. The views and opinions expressed here are my own. Feld Entertainment has really brought the circus into the 21st century by retiring its traditional elephant performances. Other circus classics like clowns and a few animal acts will remain, but the elephants will no longer be a part of the show. I will miss the elephants but I commend Feld for giving their elephants a much-needed permanent break! 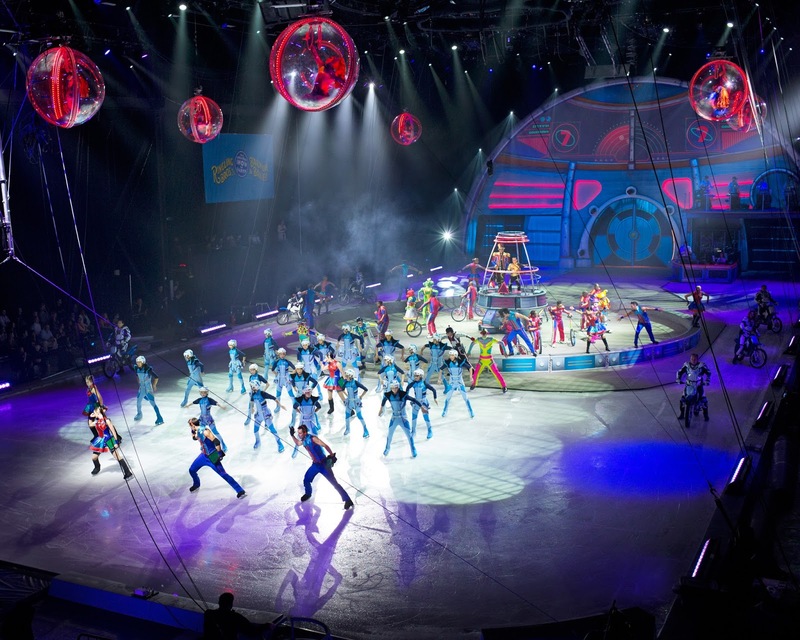 Although circus performances sometimes follow specific themes, Out Of This World will feature a plot and characters, with heroes on a mission, traveling to planets around the galaxy, battling the forces of evil. 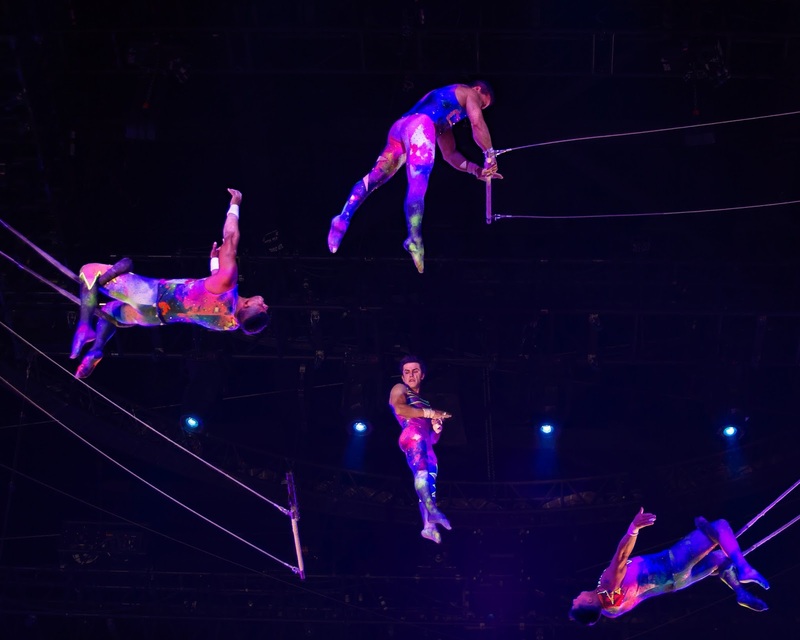 This is the first time a Ringling Bros. and Barnum & Bailey® circus show to feature a character-driven storyline, and it's going to make the experience even more exciting! I have never enjoyed the traditional three-ring circus format, because it has always seemed too distracting to me. There are so many cool acts, I want to be able to focus on and enjoy each and every one of them. Now that the acts will be performing one at a time, the audience won't ever have to miss a thing! Out Of This World is going ultra high-tech, with a video projection screen that will make audiences feel like they're traveling through space. Thanks to the video screen and other lighting technology, the entire arena will be transformed into a sci-fi galaxy, which will help guests immerse themselves even more into the story. A new act is coming into town: the Simet Wheel. It's a rotating wheel combined with a tightrope walk -- how crazy is that -- and it's making its U.S. debut in out Of This World! Performers are going to be wearing suits in keeping with the Outer Space theme of the show. I can't wait to see it! A circus on ice? How cool (pun intended) is that? Out Of This World will feature freestyle skaters combining acrobatics and speed skating, as well as stilt walking (or should I say skating) and hoop diving. This is another Can't-Wait moment! 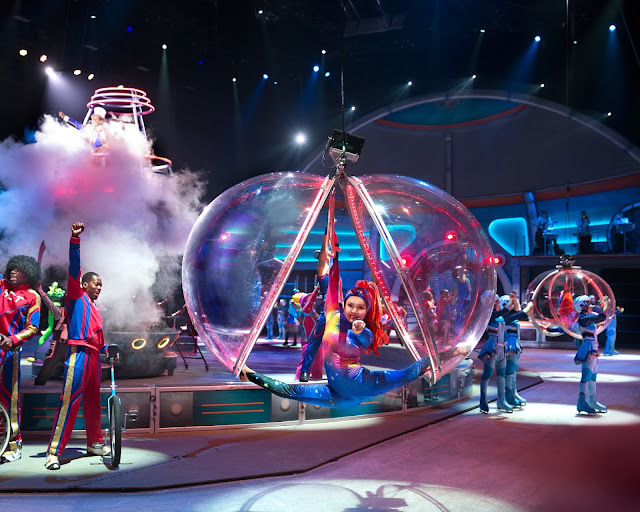 Your family is going to be entertained even before the show, with the free, all-new Ringling Bros. mobile app. App users will be able to take Circus Selfies with some funny filters and share their photos on social media. They'll be able to see what's in store for them with sneak peeks into the show. 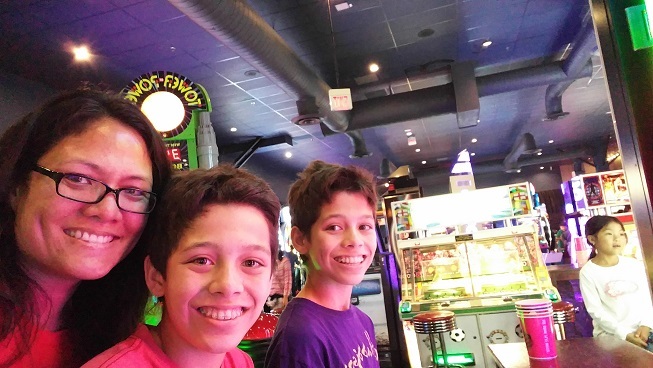 They can play trivia games and unlock exclusive content right before the show -- so you can come early and get settled without worried about your kids constantly asking when the show is going to start! Out Of This World will be in 4 California cities through mid-September. 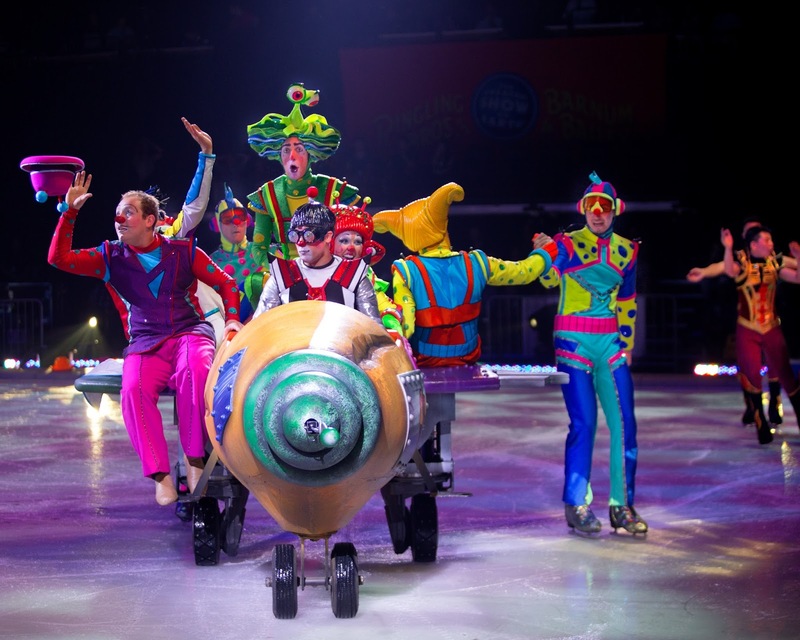 For more dates and locations, check out the Ringling Bros tickets and schedules page. Disclosure: I am receiving tickets to attend this event with my family. The views and opinions expressed here are my own. 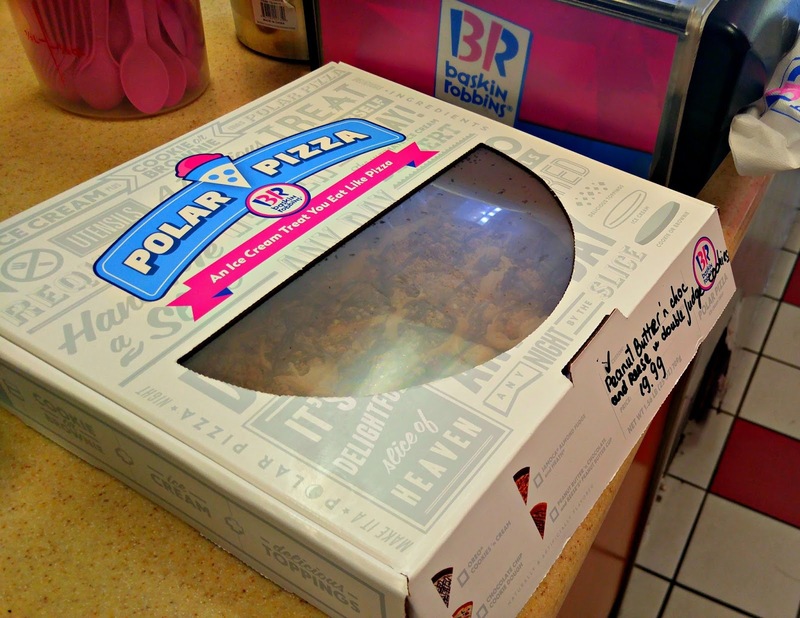 Introducing Polar Pizza from Baskin Robbins -- a cool new way to enjoy ice cream! 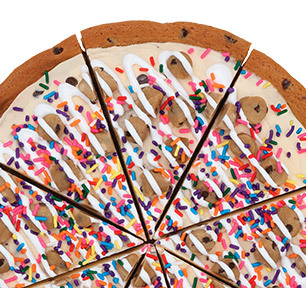 We have ice cream cake, ice cream sandwiches, ice cream pies.... why not ice cream pizza? 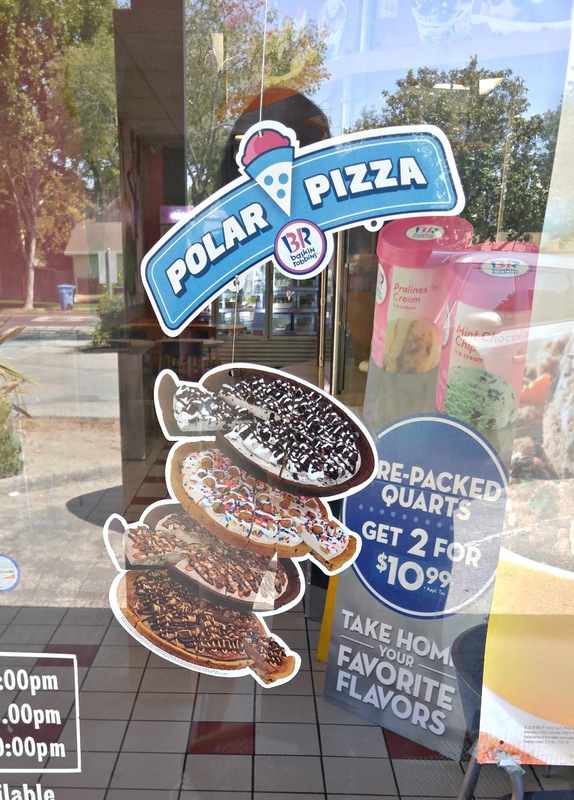 Baskin Robbins has upped their coolness factor by introducing Polar Pizza, the perfect frozen treat that combines everything you love about ice with everything you love about pizza! Baskin Robbins gave us the opportunity to try their new Polar Pizza, so we headed off to our local Baskin Robbins store to check it out. You can find Polar Pizza at your local Baskin Robbins store, inside the freezers where they keep ice cream cake and pints of ice cream. You can't miss it -- Polar Pizza comes in a pizza box and it looks just like a regular pizza! One Polar Pizza cost us $19.99. 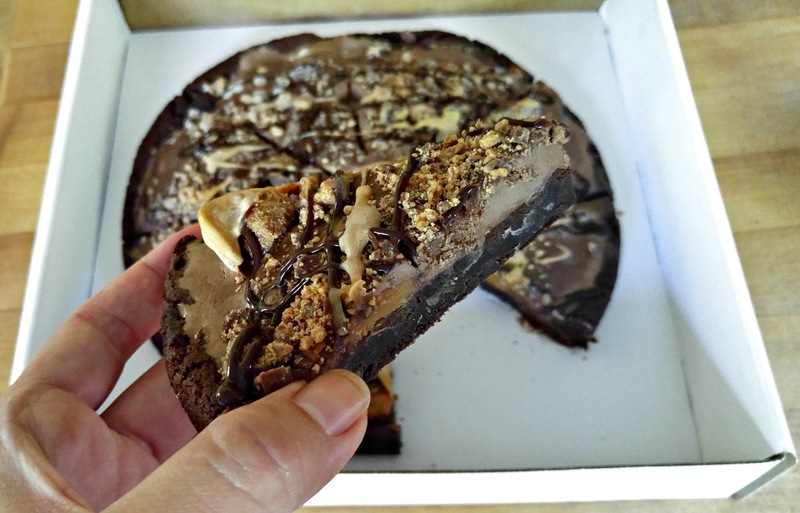 The "pizza crust" is either a giant chocolate chip cookie or giant circular double fudge brownie. The middle layer is yummy Baskin Robbins ice cream, then the "pizza" is topped with caramel, fudge, sprinkles, and other yummy ice cream toppings. The pizza is pre-sliced so it's easy to portion out and eat, just like a regular pizza! Unlike an ice cream cake, you don't have to wait very long to thaw the Polar Pizza before eating it, so you can start enjoying it right away. We loved our first Polar Pizza and can't wait to go back for more! It's such a fun way to enjoy ice cream. What a great addition to your next birthday party or pizza night! A chocolate chip cookie crust with Chocolate Chip Cookie Dough Ice Cream, topped with cookie dough pieces, rainbow sprinkles and drizzled with marshmallow topping. A double fudge brownie crust with Jamoca® Almond Fudge Ice Cream, topped with HEATH® Bar candy pieces and drizzled with caramel and fudge topping. A double fudge brownie crust with Oreo® Cookies 'n Cream Ice Cream, topped with crushed Oreo® Cookies pieces and drizzled with marshmallow and fudge topping. 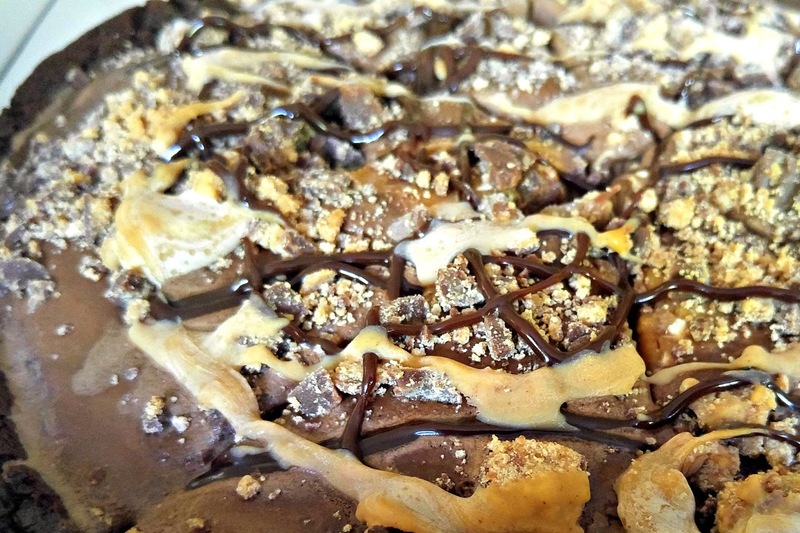 A chocolate chip cookie crust with Peanut Butter 'n Chocolate Ice Cream, topped with REESE’S® Peanut Butter Cup pieces and drizzled with REESE'S® peanut butter sauce and fudge topping. You can also build your own Polar Pizza online, and mix-n-match your favorite crust, ice cream and toppings for an ice cream treat that's all your own. We really want to order a Polar Pizza with a chocolate chip cookie crust, vanilla ice cream, and caramel and fudge topping with almonds -- but I can't seem to figure out how to do it online. I'll make sure I update this post once I do figure it out! Disclosure: I received a gift card from Baskin Robbins to facilitate my review. The views and opinions expressed here are my own. It's back to school season -- and for my kids, it's also back to sniffles season! Both 3Po and Jammy have bad grass allergies..... which is unfortunate because they play soccer on a grass field 3-5 times a week. 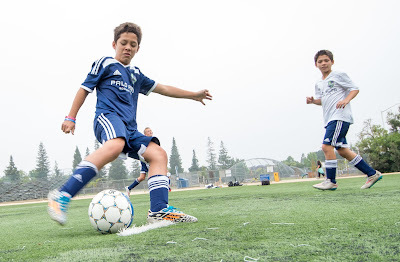 There's just no way they're going to give up soccer because of allergies, so we've had to find ways to help relieve their allergy symptoms and keep them doing what they love to do. One of the most important parts of their regimen is an allergy nasal spray like FLONASE® Allergy relief. Check out my latest post on Finding Bonggamom about how we manage the boys' allergies and how FLONASE® can help. The post also has a giveaway for a $100 Visa gift card!! (disclosure: My post on Bonggamom Finds is a compensated post).